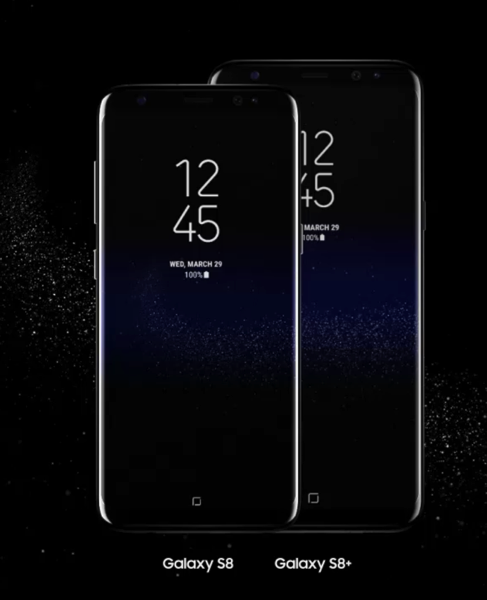 The S8 comes with a 5.8-inch screen, the S8 Plus with 6.2-inch. 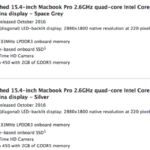 Both have a resolution of 2960 × 1440 pixels. With this generation of smartphones, Samsung has ditched the physical home button and gone for a virtual one, leaving more room for the display. 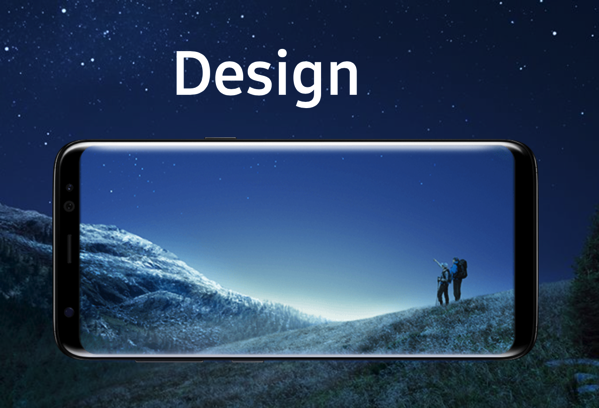 The screen is curved around the left and right, which Samsung calls “the infinity display”, as it gives the feeling of not having any bezels at all. The US version of the phones incorporate Qualcomm Snapdragon 835 Octa core (2.35 GHz Quad + 1.7 GHZ Quad) processors, while the international version has a Samsung Exynos Octa core (2.35 GHz Quad + 1.9 GHZ Quad) processor. It also includes 4 GB of RAM, 64 GB of onboard storage and an expandable SD card slot. As for the camera, Samsung is using the same 12 MP rear camera with optical image stabilization, while the front-facing camera is 8 MP. The S8 has a 3,000 mAh battery, while the S8 Plus has a larger, 3,500 mAh battery, and both models come with the usual suite of power options: Qualcomm Quick Charge and support for both major wireless charging standards. As noted by the Verge, the face detection systems included on the phones worked very well, but it isn’t considered as safe as methods such as fingerprint identification. By the way, the fingerprint sensor has moved to the back near the camera module. Samsung has already teased its personal assistant Bixby, but the service wasn’t exactly available while testing the phones, Samsung said. It will be available only when the phones are launched. Pre-orders start on March 30, and the handsets will hit US stores on April 21. U.S. pricing starts at US$720. Canadian pricing is $999.99 for the S8 according to Best Buy, and S8+ outright has yet to be determined, but expect it to be around $1100 CAD. The phone will release in Canada on March 31.